For 3rd time this year, Austin tech raises well over $100M. Here’s who led in April. 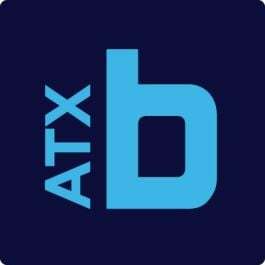 For the third time this year, Austin tech has collectively raised more than $100 million in funding for the month. Not bad, considering we’re not even halfway through 2018. Following a substantial month of funding in March, Austin tech stepped up its game to raise over $141 million in April. A fintech startup and an e-commerce hosting platform led the surge, raising $108 million combined. Here are the five largest rounds of another strong month of funding for Austin. Bio: InKind developed the loyalty restaurant platform House Accounts, which allows customers to prepay for discounted meals at participating restaurants. Founder, CEO and restaurant owner Johann Moonesinghe launched the startup in 2014. News: InKind did not release a statement regarding the funding. Investors: RRE Ventures, Upfront Ventures, KPCB, Greycroft VR Gaming Tracker Fund, The VR Fund, Andy Ross, Alex Chung and Matt Brimer. Bio: TheWaveVR is developing a social music platform that allows musicians and fans to connect virtually to streaming live shows. News: This influx of capital brings TheWaveVR’s total funding to $10 million since its 2016 launch. CEO and co-founder Adam Arrigo said the funding will be used to add new features and tools to TheWaveVR’s community app and toward additional platform integrations. Investors: Gradient Ventures, Y Combinator, Fika Ventures, Lynett Capital and Defy Partners. Bio: PullRequest combines a remote network of professional developers and automated solutions to process code reviews faster. The company launched last year and has raised over $10 million from investors. News: CEO Lyal Avery said this funding will be used to expand its teams in San Francisco and in Austin and toward the launch of an alpha program and pilot test that’s coming later this year. Investors: Goodwater Capital and PayPal. Bio: Dosh’s cashback platform automatically deposits cash savings to a user’s account when purchasing from a network of participating brands. Users then have the option to deposit those savings to their bank account or PayPal, or to donate them to a charity. News: April’s Series A funding will be used toward product development and to double Dosh’s workforce. With the funding announcement, Dosh also reported that its app has added 3 million users in the past four months alone. Bio: Launched in 2009, BigCommerce provides an online shopping platform and other e-commerce solutions for more than 60,000 brands. News: This Series F funding puts BigCommerce’s total to over $200 million. The capital will be used toward its e-commerce platform and to increase its ongoing hiring efforts with a focus on engineering.